Welcome to the EPPR Store where your purchases help fund Rescue! 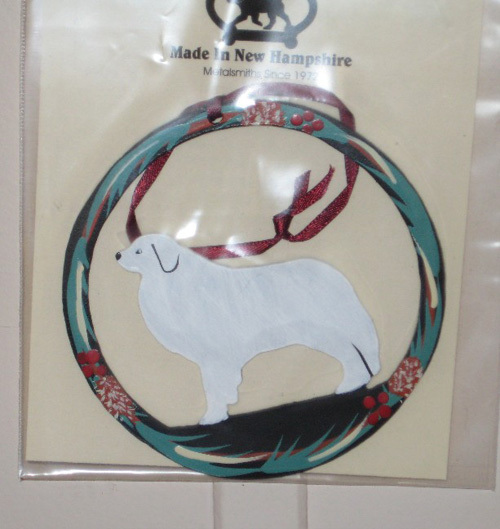 This ornament is available for a donation of $10.00, plus $4.25 for shipping via USPS First Class Mail. It is made of metal, made in the USA and is approx. 4". Made by Metalsmiths who have been in business since 1972. This is a lovely ornament that will give many years of pleasure to it's owner. Can be used at all times of the year to dress up your window(s) if you so desire. At this time we are unable to offer more than 10 ornaments in each shipment. If you need to order more than 10 please contact us at greatpyrluvr@gmail.com and we will make arrangements to fill your order. 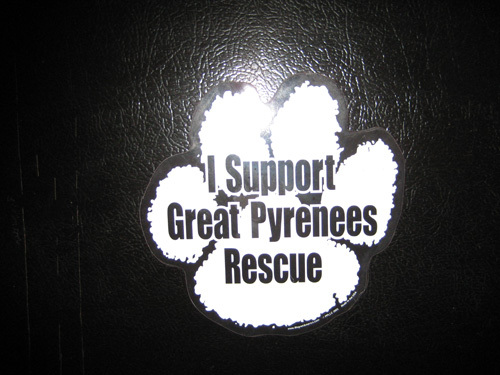 This magnet is 8"X8" and can be used anywhere, including on your car. It is available for a donation of $6.50 plus $4.25 for shipping via USPS First Class Mail. Advertise to everyone that you support Rescue! There are only 27 available for purchase. We will fill orders up to 10 magnets until they are gone. 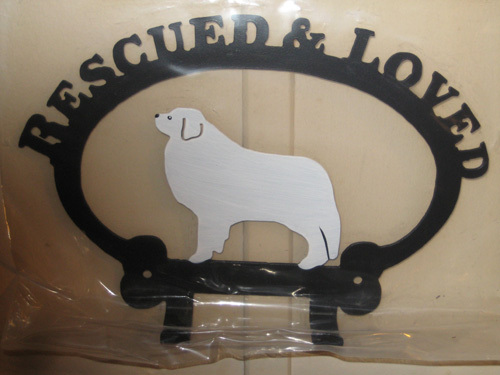 This leash holder is available for a donation of $20.00 plus $8.25 for shipping via USPS Priority Mail. It is the Pyrfect accessory for the pampered Rescue Pyr! Made in the USA by Metalsmiths that have been in business since 1972. All their products are hand painted. This item measures approx. 8"X6". This item ships priority mail. If you would like to order more than one, or a combination of products on this page, you will need to use the form at the link on the bottom of the page. The PayPal button gives us very limited options. 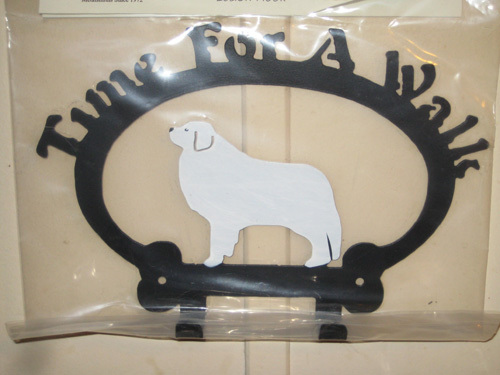 This leash holder is available for donation of $20.00 plus $8.25 for shipping via USPS Priority Mail. This is the Pyrfect accessory for the pampered Pyr! Made in the USA by Metalsmiths that have been in business since 1972. All their products are hand painted. This item is approx. 8"X6". This item ships priority mail. If you would like to order more than one, or a combination of products on this page, you will need to use the form at the link on the bottom of the page. The PayPal button gives us very limited options.